Don Pedro's Carnitas - SCARY Good! I like uncomfortable social situations; those idiosyncratic moments when the inner YOU is suddenly forced to weigh the pros and cons of flight or fight mode...what's it gonna be? Usually, I chose FLIGHT because, well, I'm a big fat baby and don't really like the idea of endangering the people close to me, or probably more importantly, myself. Still, those quick, brilliant flashes of fear keep the wheels turning and the heart thump, thumping away; and food is no exception - I like being scared, approaching the great unknown of some small back alley, hole-in-the-wall, greasy spoon, scary restaurant that makes something so sublime, beautiful that it can't help but garner a devoted, cult following regardless of when it's open, and where it's located - because it's THAT GOOD! Chef David Palos of Don Pedro's in Springdale is a badass; as a father, as a husband, and as a chef with an almost superhero knack for using every single part of the pig; in a town where carnitas are undoubtedly the most beloved, consumed food no less. Don Pedro's is a family affair, Palos' father supplying the whole pig from the butcher shop around the corner, and his strong, hard working wife manning the front of the house...the entire operation is a well oiled, badass machine. Don't fear Chef David; despite his tough, confident exterior, he's really a sweetheart...always ready to show you his intricate, impressive al fresco smoking design, or just to chew the proverbial fat about his pork cooking skills and passion; and trust when I say that these skills and passions are worth fighting for. Don Pedro’s is the newest “write-in” on the Springdale Taco Tour, promising the most fun, stylized stop of all. Locally raised whole hogs that are broken down on premise, then prepared in a massive smoker that serves as an olfactory beacon from miles around. And Chef David welcomes guests with a boisterous “Hello” draped in smiles, black apron, while brandishing giant knife and tongs. 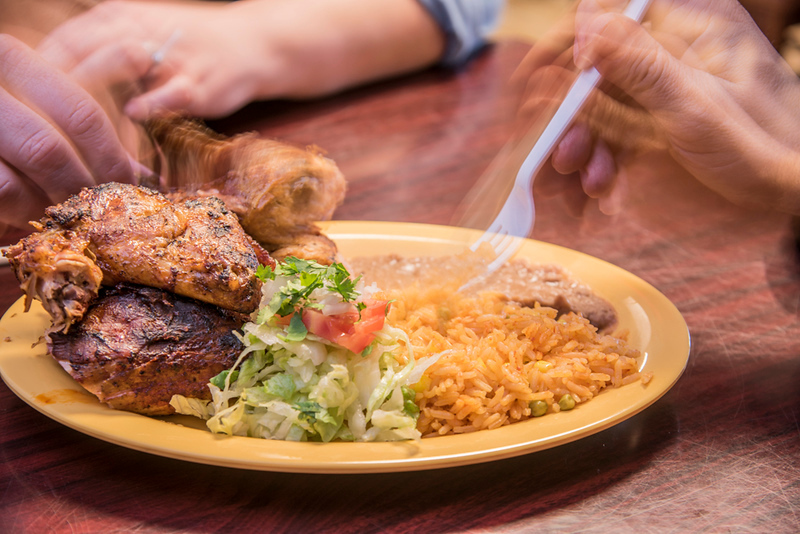 The Carnita Taco and Burrito are worth the trip alone, but don’t forget about the whole smoked chicken served with rice, beans, and a chopped salad. If you’re lucky enough to arrive when David is carving up his wares, ask for a bite of the pig intestine, coiled, tender, butterscotch-y, divine.